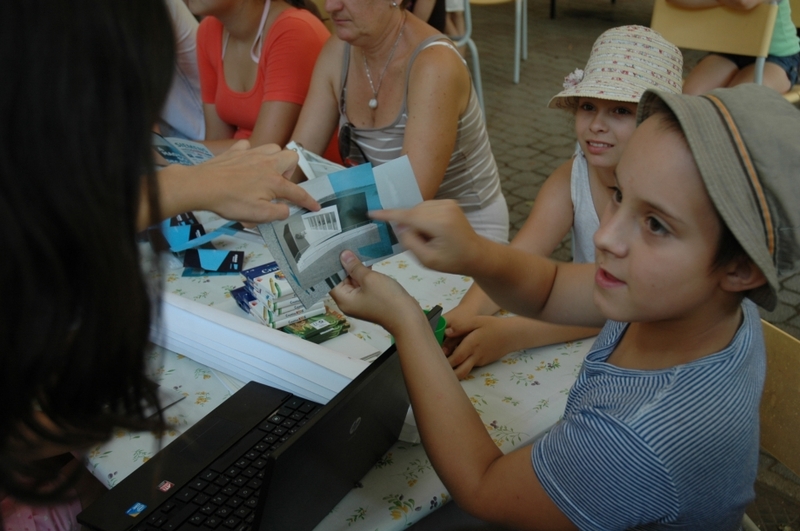 Odooproject‘s Communications Team members held summer workshops for children aged between 7 and 14. 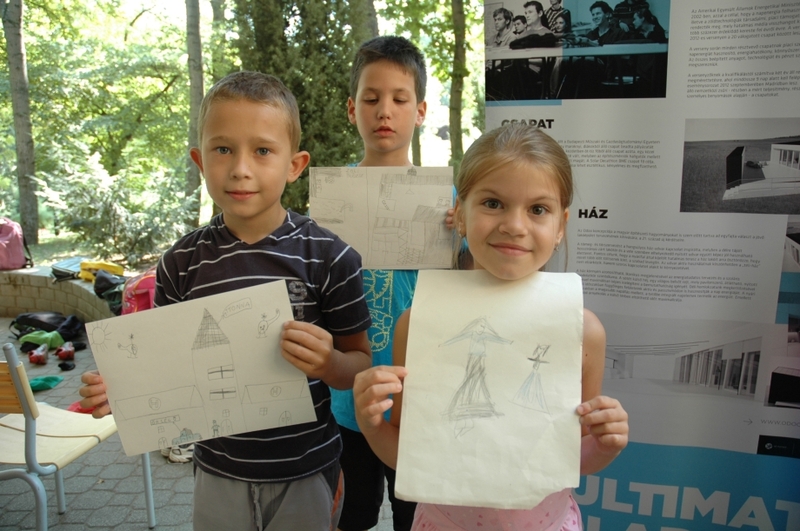 Firstly, our team members visited a summer camp located in the Harshegyi Route in the II. district of Budapest where there is being held summer programs and outdoor activities for 130 children during the summer time. Representatives of the Odooproject Communication Team held a presentation and lead a workshop to them about the renewable energy sources, the Odoo-house and the history of the Solar Decathlon Europe competition, in the appropriate language for kids. We were really surprised that after a little we started our interactive presentation, how much we were asked by the kids and how much they expressed their opinions about our house. There was a 11-year-old boy who was more interested in technical details of the house and he was also able to explain the difference between solar panels and a solar collectors to the others. An 8-year-old girl, whose father is a wagoner and fireman, could also explain to us perfectly, that in her opinion how the house will be divided into parts and be taken out by truck to Madrid. However, not all of the girls were interested in the trasportation of our house, so they wanted to hear more about our uniform we will wear during the competition in Madrid. 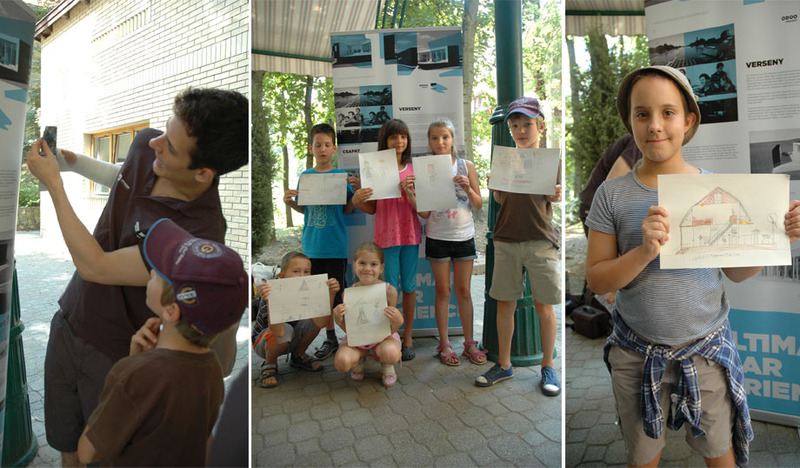 After the presentation they tested each other‘s knowledge in a drawings contest. Boys got the task to draw down how a solar-powered house looks like and girls did, how the female members of our team will look in their Odoo-uniform in the competition. After finishing the drawings they evaluated each other’s work, announced the first, second and third place drawings, which you see a below.